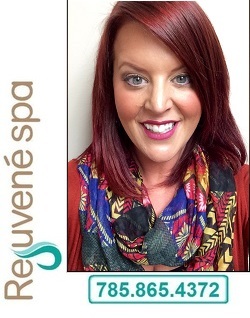 Established in 1999, Rejuvene Salon and Spa has set the standard for Days Spas throughout Lawrence, Kansas and the Greater Kansas City/Topeka Area. Thousands of guests have discovered the experience of a lifetime at Rejuvene Salon and Spa. We have created an environment dedicated entirely to relaxation, total health and well-being. Our mission is to successfully meet and exceed the needs of our clients through the highest standard for quality, service, product and providers. Graduated from the National Holistic Institute in Northern California and opened her Massage Practice in Lawrence, KS in 1994. Marcia holds a certification from National Certification Board for Therapeutic Massage and Bodywork (NCBTMB) and is a Licensed Esthetician through the Kansas Board of Cosmetology. In addition to her certifications, Marcia has received over 700 hours of continuing education including the study of anatomy, physiology and kinesiology. Graduated from Lawrence Beauty Academy and began styling hair in 2003. Ashley is a Licensed Cosmetologist through the Kansas Board of Cosmetology, Certified Hairlocs Extension Technician and is a Color Specialist. A regular attendee at Salon and Spa conferences in Chicago, St. Louis, Orlando and Las Vegas, including the International Esthetics, Cosmetics and Spa Conference, Ashley has been featured in Lawrence.com and the Lawrence Journal World. 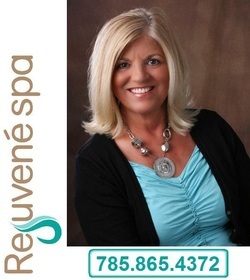 Other Featured Providers at Rejuvene Salon and Spa.